Photos of Bart van Damme have been published in many books, magazines, newspapers and blogs. Below you can see a selection. If you’re interested in publishing my work please send an email with your specific wishes. 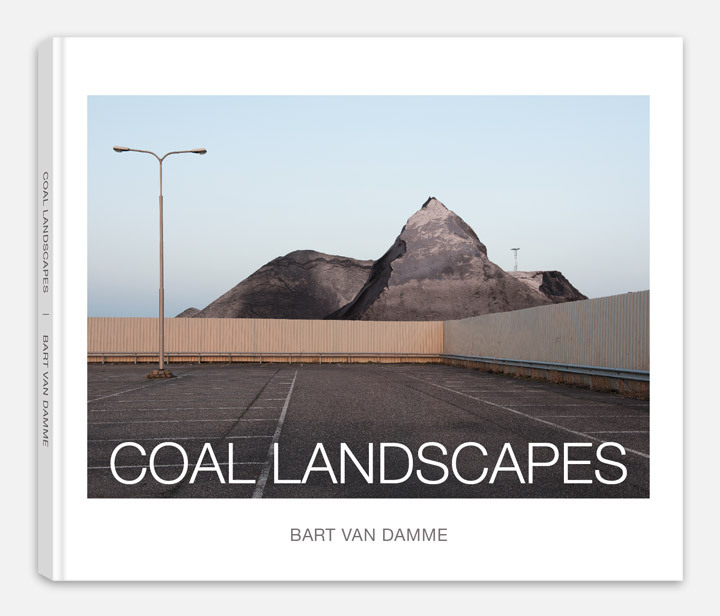 COAL LANDSCAPES (self-published in 2017). If you’re interested in seeing more of this book or in buying it, please send me an email. As an artist / photographer, I am particularly interested in the transitional landscape and coal heaps are a prime example, as they constantly change shape and volume. It’s a slowly disappearing landscape, since coal driven power plants are banned more and more in our part of the world, especially since and because of the Paris Agreement of 2015. It interests me that coal represents everything that generally is perceived as dirty and polluting, while on the other hand, these heaps, like no other, are able to catch the light so phenomenally. Portraying coal heaps in a formal style can create a certain monumentality, like mythological magic mountains, on which the viewer can project their own thoughts. Especially when a white paper-emulsion is sprayed on top of them – to keep the coal dust from spreading – the heaps seem in competition with natural mountains with snowy tops. These landscapes are unknown to most people, because they are located in remote and semi-hidden places. For me it was a revelation to find and to create beauty in these unlikely and unexpected places. Extraordinary and vanishing landscapes, in a changing world. This book is telling the story of how a major part of the carbon based economy era slowly is coming to an end. As such, this series of vanishing landscapes are made in the same spirit as early 20th century photographer Eugène Atget, documenting the street scenes of Paris before their disappearance into modernization. 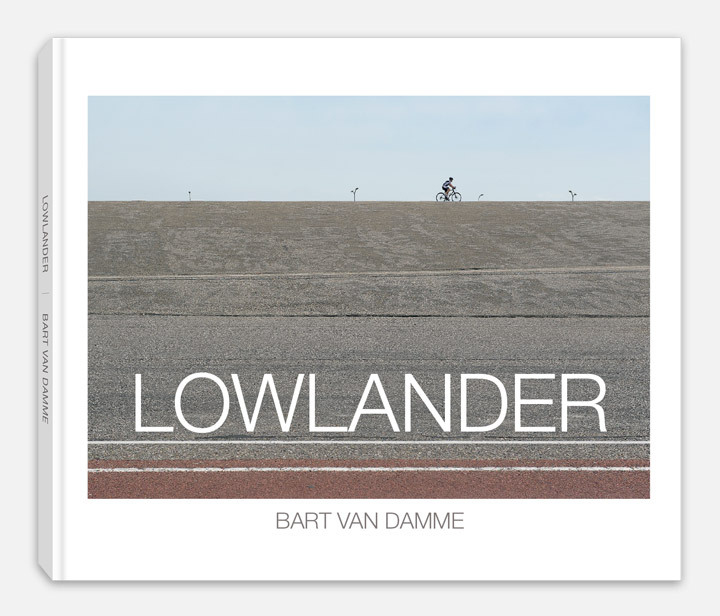 LOWLANDER (self-published in 2017). If you’re interested in seeing more of this book or in buying it, please send me an email. As a landscape photographer I often go out of my way to prevent people entering my scenes, but on very rare occasions their presence added an extra quality to the photo I could not lay my finger on at first. It wasn’t until recently, when I put some of the ‘people photos’ together, I noticed that over the years, semi-subconsciously, a theme had been developing. This book is a overview of this bycatch and consists of photos made in The Netherlands and Belgium over the last 10 years. Studies continuously show that sea level rises in Northwest Europe could be much higher than previously predicted and therefore the question remains: Will the coast of The Low Countries be sufficiently resistant to protect its inhabitants against the thread of flooding? This book tries to explore just how the people of the Low Countries are coping with this possible ‘Sword of Damocles’ hanging over their heads. 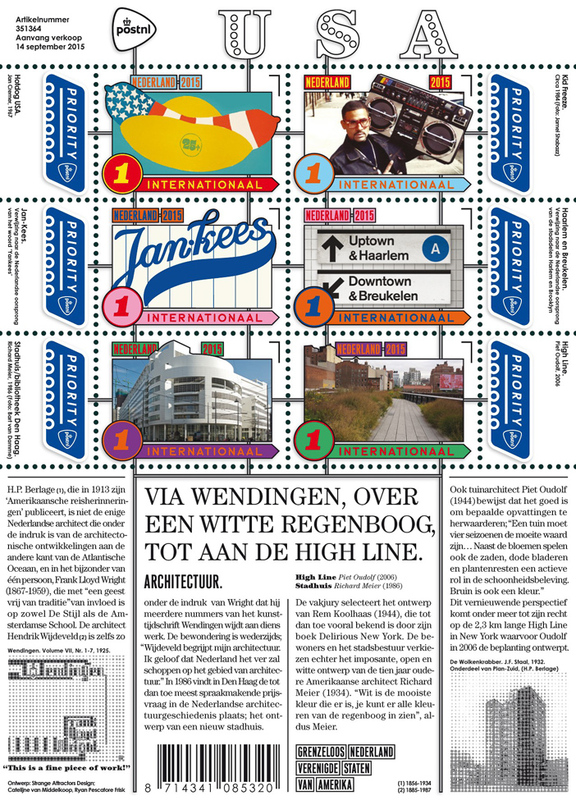 October 2015: Design studio Strange Attractors asked me if they could use my photo of Richard Meier’s The Hague City Hall on their new Dutch stamps design, showing the age-old relationship between the Dutch and the United States. 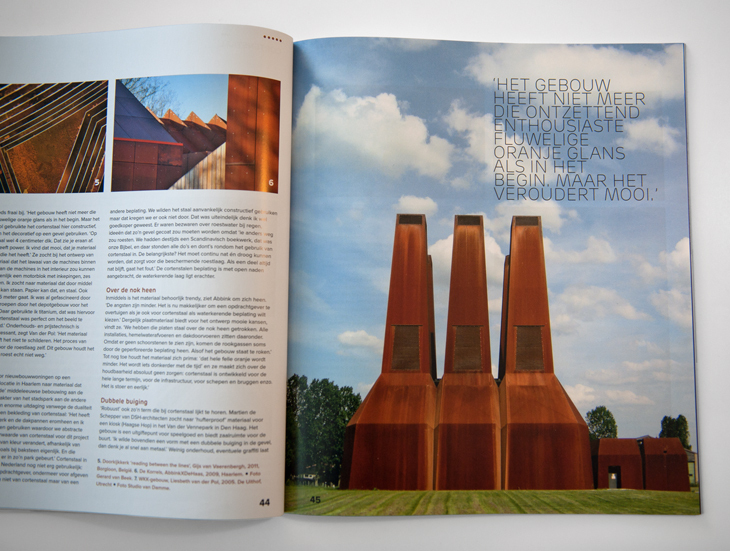 September 2015: ArchitectuurNL magazine asked me if they could use my photo of this interesting Heat Plant by Dok Architecten, at the Uithof University Campus, Utrecht, The Netherlands. August 2015 – Ryan Nemeth asked me for a photo feature on his fine Terratory website. January 2014 – Belgian-Australian photographer Wouter Van de Voorde asked me for a photo feature, guest-blogging on Der Greif. 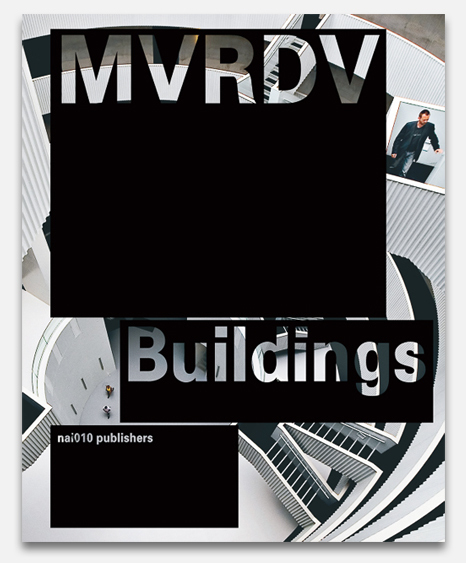 July 2013 – Architecture firm MVRDV recently launched a monograph of buildings completed about its 20-year history and they asked me if they could use one of the photographs I made of their Silodam Building in Amsterdam, actually one of my favourite buildings in NL. I think it turned out a to be a beautiful and impressive monograph. 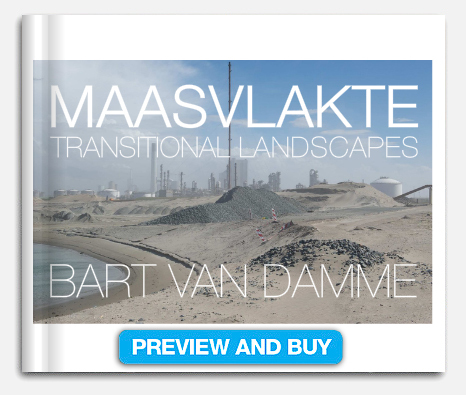 MAASVLAKTE – Transitional Landscapes (self-published in 2014). 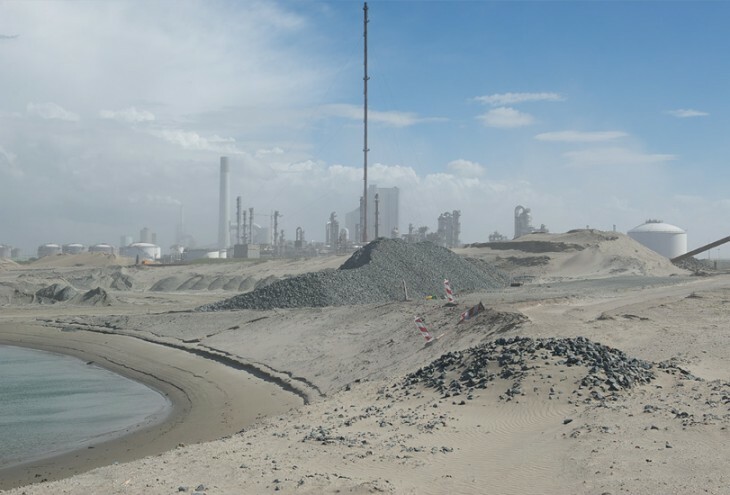 To reclaim land is the main story of the Netherlands, everybody knows that, but since the reclamation of Southern Flevoland (completed in 1968) the Netherlands has not participated in a major project of scale anymore. From the very first activities in 2008 I have been documenting the progress extensively, from the very first Genesis-like proceedings till the official opening in May 2013. And it’s an ongoing project still. Because the new Maasvlakte area protrudes out of the Netherlands’ natural coastline for miles into the North Sea, often light and weather conditions are quite different than on the mainland, thus creating exciting lighting possibilities for photography. It reminds me of Joseph Beuys and his theory about Dutch Light. He said that the light for which Holland was famous had lost its unique radiance because of major reclamations of the IJsselmeer in the 1950′s and 1960′s, thereby acknowledging not only that it had disappeared, but that it had actually existed in the first place. The odd thing was that frequently I found extraordinary light in these reclaimed areas, very different than, say, a few kilometers landward. One could say the Dutch painting heritage is in my genes. Through my education as a painter first, but also as a museum dweller. 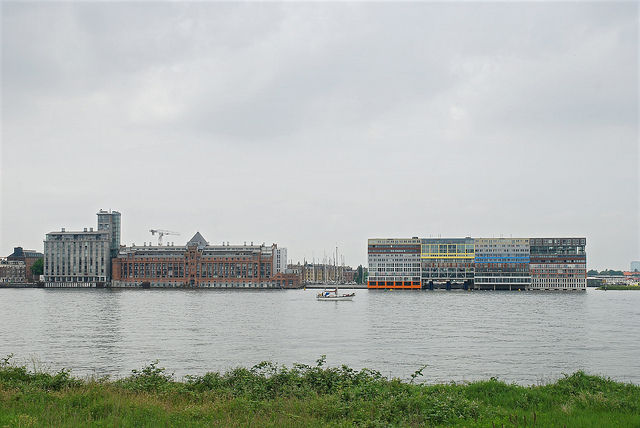 17th century masters like Potter, van Ruisdael and Vermeer were an influence, but also the abstracted landscapes of Mondrian and the photographic research of contemporary artist Jan Dibbets. Photographic influences have been the American New Topographics movement and Düsseldorf School. Though personally I’m not fond of coal as an energy source there’re few things as beautiful as a mountain of coal catching the light. Perhaps it is this ambiguity I aspire to in my work. 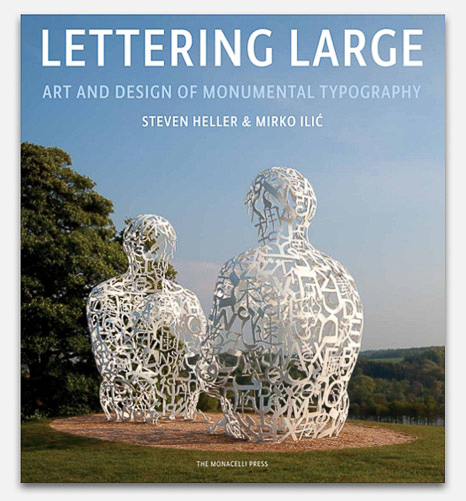 November 2013 – I was asked to contribute my photo to a wonderful new publication LETTERING LARGE, The Art and Design of Monumental Typography by by Steven Heller, Mirko Ilic. Typography has jumped off the printed page to stand on its own as branding, sculpture, and even architecture. Lettering Large examines this phenomenon through a diverse collection of images collected from a vast range of sources around the world. 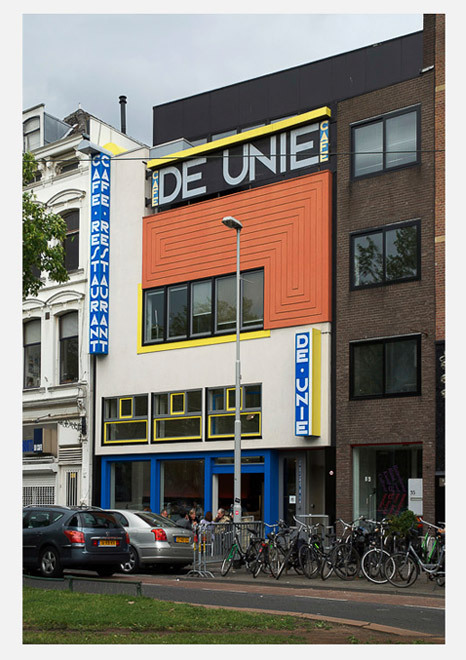 On page 79 my photo is added of Café de Unie in Rotterdam  by De Stijl architect J.J.P. Oud [below]. 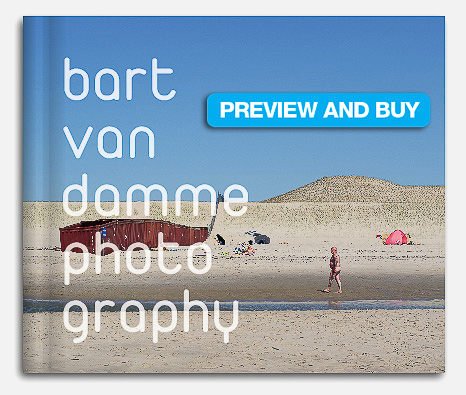 Bart van Damme Photography (self-published in 2013). 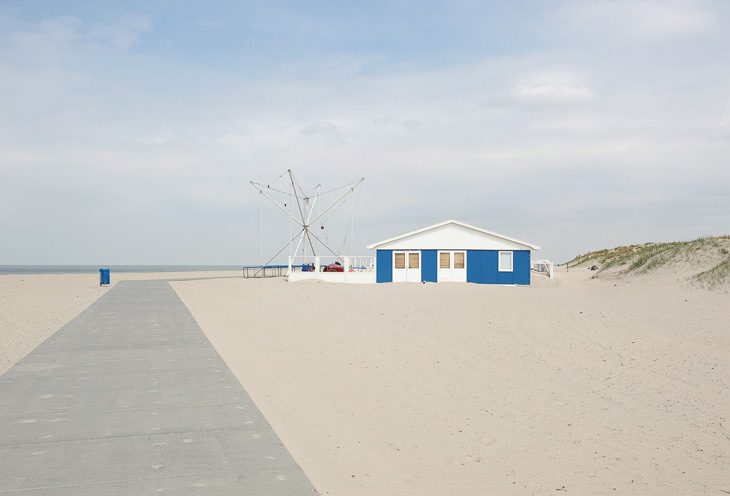 A portfolio consisting of man-made and urban landscape photography in the Netherlands and Belgium.